Back in May 2009, the Australian government put Wikileaks on its banned list. As of 29 November, according to ZDnet, this is no longer the case. 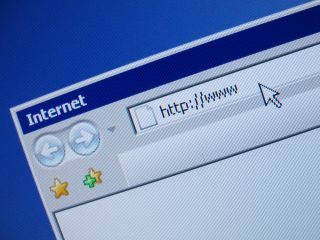 "Currently, the ACMA list of prohibited URLs that is notified to accredited filter providers does not contain any URLs within the Wikileaks website," said the ACMA. "Since April 2010, the ACMA has investigated two complaints about specific pages of content on the Wikileaks website, which both resolved to content found to be not prohibited." Wikileaks hit the front pages this month, with a new release of government documents that show the inside goings-on of diplomacy in the US. In the dosuments our very own Prince Andrew is namechecked, as is the Governor of the Bank of England, Mervyn King. One of the newest additions to Australia's 'blacklisted hyperlinks' list is Wikileaks; the website that publishes anonymous submissions of sensitive info on everything from corporations, religion and governments. The blacklisting of certain pages of the site has come about after Wikileaks posted a list of websites at the tail end of 2008 that comprised the 'secret internet censorship' list for Denmark. On this list were over 3,500 sites that were censored or banned in the country. While Australia's list of blacklisted sites currently stands at 1,370, the Sydney Morning Herald is reporting that that list could increase to around 10,000 sites – most of which are of illegal pornographic content, but could also includes sites that house incendiary political discussions. "The Government is embarking on a deeply unpopular and troubling experiment to fine-tune its ability to censor the internet," said communications spokesman Senator Scott Ludlam of Australian opposition party Greens. "If you consider this kind of net censorship in the context of Australia's anti-terror laws, it paints a disturbing picture indeed." On its website, Wikileaks, which leaked the news that the government had banned it for leaking information, simply said: "The first rule of censorship is that you cannot talk about censorship." Currently, it is not illegal for internet users in Australia to click on the sites found on the web blacklist. The people targeted by the Australian Communications and Media Authority (ACMA) are webmasters linking out to the sites that the government have flagged up as inappropriate. This could all change, however, if a mandatory internet filtering censorship scheme is implemented – something that is being debated at the moment.